Lock in a great price for Mitsui Garden Hotel Hiroshima – rated 8.5 by recent guests! We have stayed at Mitsui Garden several times in the past and always found it to meet our expectations. Clean, comfortable and great location. The hotel worked very well for us-we had transport just outside the door and we were able to walk to from the hotel to see some sights. Definitely good value for money. 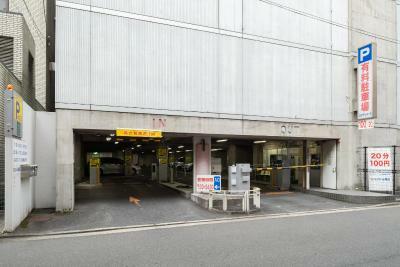 Great location if you wanna walk around the city center as it is very close to the monuments & the main shopping area. Big room, on spot parking for our little car, and a table to sit at. Breakfast view is one of the best in the city. If you are staying two mornings sit on both sides so you can see Hiroshima completely. The location is great and the room was updated and fresh. Very nice amenities. 10 minute walk from the Peace Memorial Park and easy access to the station by bus. Also a great view of Peace Boulevard. 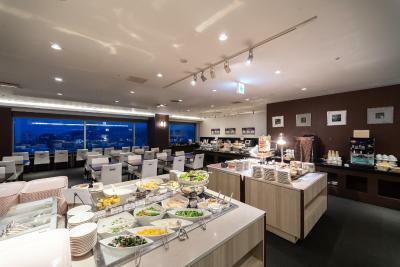 Mitsui Garden Hotel Hiroshima This rating is a reflection of how the property compares to the industry standard when it comes to price, facilities and services available. It's based on a self-evaluation by the property. Use this rating to help choose your stay! features free WiFi, 3 dining options and rooms with a flat-screen TV. From nearby Fukuromachi Tram Station it is a 15-minute tram ride to JR Hiroshima Train Station. Hiroshima Castle is about a 20-minute walk from the hotel. Rooms at Mitsui Garden Hotel Hiroshima are furnished with a private bathroom and a refrigerator. Hairdryer and slippers are also provided. Guests can enjoy French dishes while overlooking the city at Confrere Restaurant. Yagumo offers traditional Japanese dishes for lunch and dinner. 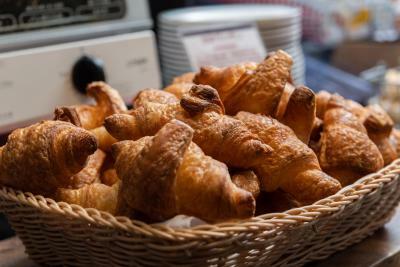 For drinks and light snacks, guests can visit Café Di Espresso. A buffet is available for breakfast. 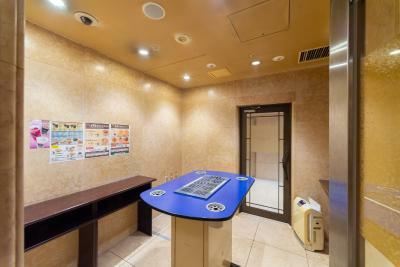 Mitsui Garden Hotel Hiroshima provides laundry and dry-cleaning services. A hair salon is also available. The Atomic Bomb Dome is a 12-minute walk from the hotel, while Hiroshima Big Arch is a 20-minute drive away. 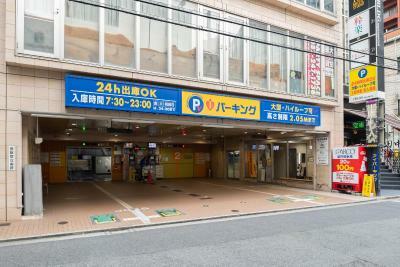 The nearest airport is Hiroshima Airport, a 55-minute drive away from the property. When would you like to stay at Mitsui Garden Hotel Hiroshima? Room is furnished with a private bathroom and refrigerator. Free WiFi and a complimentary bottle of water is included. Hairdryer and slippers are also provided. More spacious room with a large double bed, a private bathroom and a refrigerator. Free WiFi and a complimentary bottle of water is included. Hairdryer and slippers are also provided. This compact room is furnished with a private bathroom and refrigerator. Free WiFi and a complimentary bottle of water is included. Hairdryer and slippers are also provided. Slightly bigger room is furnished with a private bathroom and refrigerator. Free WiFi and a complimentary bottle of water is included. Hairdryer and slippers are also provided. Fitted with a double bed. Features 2 single beds and 1 extra bed. This single room features a flat-screen TV, electric kettle and air conditioning. This single room has air conditioning and electric kettle. This single room features air conditioning and electric kettle. Mitsui Garden Hotel Hiroshima is located a 7-minute drive from JR Hiroshima City, along the Peace Boulevard. Situated in the heart of Hiroshima and within walking distance to the famous Hiroshima Peace Memorial Park, the hotel is ideal for both business and sightseeing travelers. 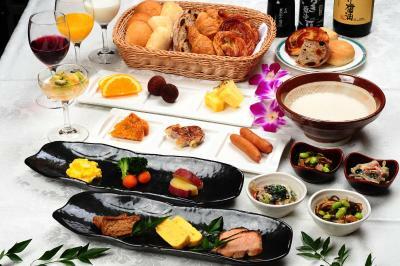 Breakfast buffet featuring over 50 Japanese and Western dishes is served in the restaurant on the 25th floor. Guest rooms are Western-style rooms equipped with modern comforts. WiFi and wired Internet is available in guest rooms. House Rules Mitsui Garden Hotel Hiroshima takes special requests – add in the next step! Mitsui Garden Hotel Hiroshima accepts these cards and reserves the right to temporarily hold an amount prior to arrival.